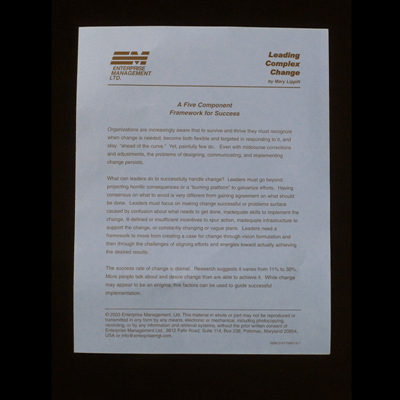 Based on sixteen years of research with over 6,000 leaders, this leadership paradigm promotes nimbleness, unity and stellar achievement. As a leader, you must be wise and agile to be successful these days. 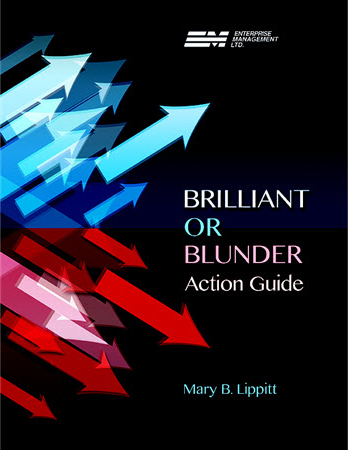 Brilliant or Blunder helps you attain and refine those qualities. It presents a new leadership paradigm so you can become a better decision maker who is capable of capturing opportunities, reducing risks and sidestepping pitfalls. We must untether our minds from old habits, false assumptions and limited thinking. This book gives you a Mindset-based template so you can judge market trends and organizational needs more effectively. 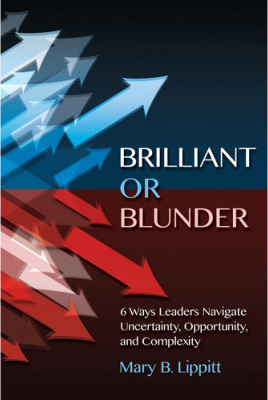 Brilliant or Blunder is based on sixteen years of research with over 6,000 leaders, this leadership paradigm promotes nimbleness, unity and stellar achievement. In short, by understanding and using six Mindsets, you can get better at making brilliant decisions. New Leadership Mindset: How to expand your leadership Mindset in order to make brilliant decisions and avoid blunders. Practical Tools: How to examine your thinking patterns and leverage an inventory to gauge your current Mindset. Make Wiser Choices: How to balance internal and external issues based on the past, present and future realities. Examine Thinking Patterns: How to identify which Mindset enables you to effectively analyze the context of the business issue. Boost Team Effectiveness: How to analyze team strengths and avoid potential blind spots. Techniques to Gain Active Support and Influence Others: How to recognize each Mindset in order to improve communication, align efforts and engage others to achieve goals. Mastering Communication Effectiveness: How to convey your message to your audience or teams. Dr. Mary Lippitt, award winning author, speaker, and coach, founded Enterprise Management Ltd. with the purpose of providing businesses, teams and organizations with practical and effective solutions to navigate the modern business challenges. Known for her pioneering work linking leadership development to organizational and individual results, she has been recognized as a leader in helping executives enhance their effectiveness for over twenty-five years. Dr. Lippitt’s book, The Leadership Spectrum, won the Bronze award for Best Business Book of 2002 in the US. 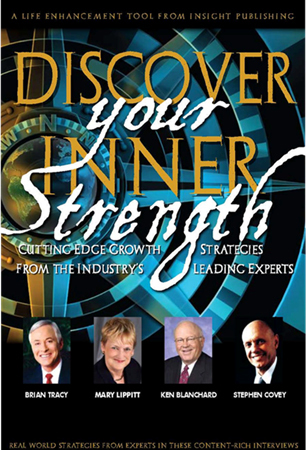 She is a co-author with Ken Blanchard, Stephen Covey and Brian Tracy of Discover Your Inner Strengths: Cutting Edge Growth Strategies from the Industry’s Leading Experts, published in 2009.